Just dip your toes in a little to see how you like it. Add a little bit of mixed media to your CAS designs. A little goes a long way. We are both CAS girls at heart, but we love trying new techniques and products. 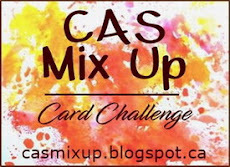 So we've combined the two and will be sharing our CAS Mixed Media journey with you. We will be providing monthly challenges and we hope you'll come play along. 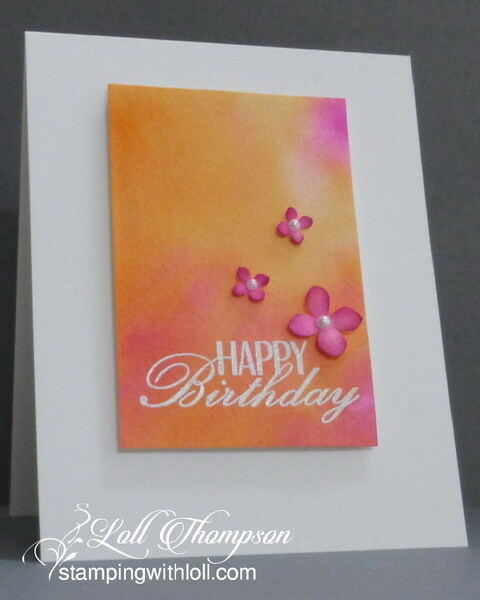 Here are some sample cards of CAS Mixed Media. Using watercolour sprays, heat embossing, punches with shaping. Designs must be CAS Mixed Media. That means one clean, cohesive design with some open space along with mixed media techniques and products. 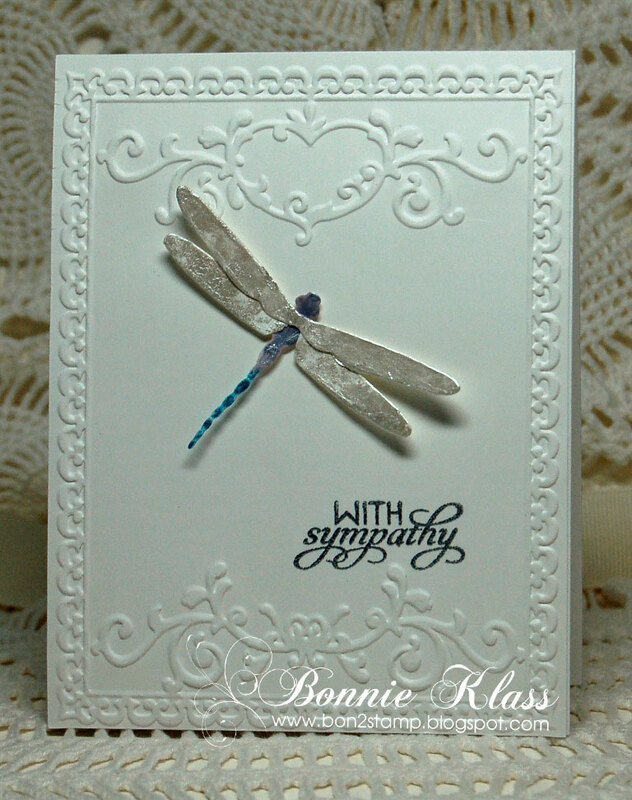 We will provide sample cards to give you some ideas. Stamping will be a requirement for every entry. You can stamp a lot (main image), or you can stamp a little (sentiment). Just make sure to add some sort of stamping to your card. 3) you get to pick the third required element from the list on the right sidebar (make sure to tell us what you've used). Incorporate a little or a lot of each, along with any other mixed media options that you want. Just remember to keep your card CAS. The challenges begin on the 1st of every month and are open until the 24th, providing lots of time to play along. You can enter as many times as you want, but please include new creations only. We will highlight some of the outstanding entries on the last day of the each month. Our goal is to provide a fun and support environment for fellow crafters. And we hope to make some new friends along the way. We'll also be asking our very talented crafting friends to join us as Featured Designers so you can meet and get to know them as well as seeing the monthly makes from us! Our first challenge starts in just a couple of weeks (March 1). We hope you'll come back and join in the fun.